As promised in the last post, here I am, with the post on my tomato plant. This one has been there for around two months now, and is now bearing some fruits for around 10-15 days. 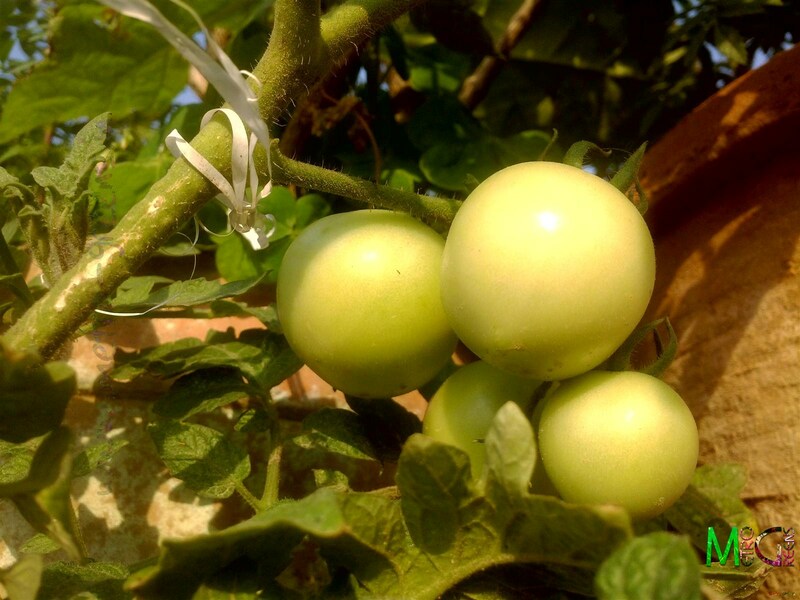 For now, there are around 7-8 tomatoes on two bunches, but, I do not expect any more from this single plant. There are some more new saplings in another pot, and for these new seedlings, I've planned something new. For these, I'll be trying a new gardening technique, that's been there for a while now. I've been planning to try hydroponic gardening technique, atleast for some tomatoes and some chilly plants. For now, I will wait for the outcome of my tomato adventures. 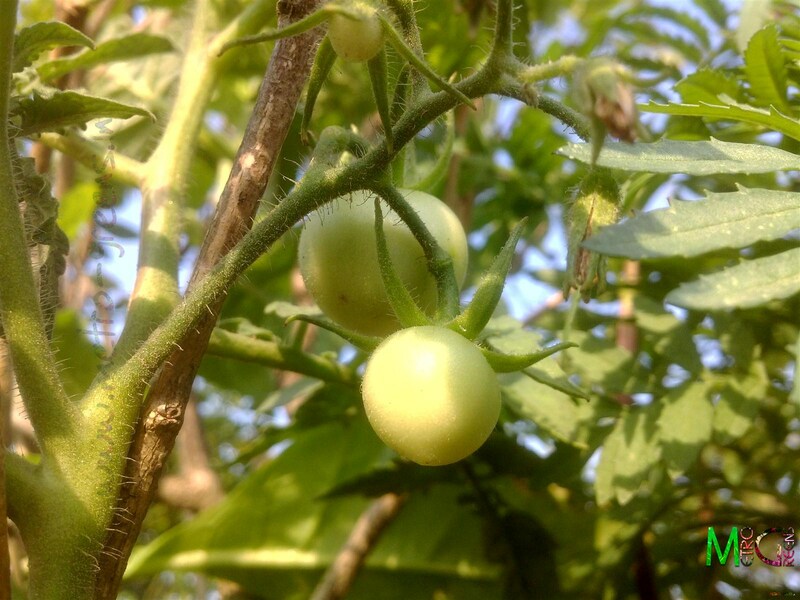 I am eagerly waiting for the tomatoes to ripen, as till now, I haven't been able to get any ripened tomatoes till now, as, the last time, I sowed tomato plants, the fruits were not able to ripen, because of heavy mealybug infestation of the plants. I will be back with a post on a weed, the flowers of which, I liked much, and thus, captured with my phone. Till then, Happy Gardening! Hello CyberKID! I envy your big huge tomatoes! I am never able to grow any vegetables because of the monkeys in our area. And thanks for dropping by my blog!